There’s nothing better at this time of the year than a walk along a breezy beach, to blow the cobwebs out of your brain. Aside from its potential to refresh, however, a beach is a unique environment, not least because it is where the normally slow processes that form landscapes occur comparatively quickly, rather than in ten million year blocks of deep time. While even an ice age takes thousands of years to rise, subside and do its worst, beaches are the scene of constant renewal, with every wave that breaks on the shore adding and removing material. The cumulative effects are revealed over a year, a decade or a century, but in extreme conditions the coast can change even quicker; a storm can create or destroy entire landscapes before your eyes. The main culprit behind all the heave-ho up and down the beach is longshore drift, a process where sediment-laden waves, blown by prevailing winds, hit the shore at an oblique angle and create a ‘swash’. Gravity then pulls the water, pebbles and sand back down the beach’s steepest gradient, generally at right angles to the shoreline. The passage of every grain of sand describes a zig-zagging, sawtooth pattern along the beach until it reaches another current, an obstacle like a groyne or a headland where the coastline changes direction. Where the angle of the shore changes, the strength of the longshore current dissipates and drops the sediment, which build up to form a sandbar or spit. One of Britain’s best examples is at Orford Ness in Suffolk; you may be familiar with its elbow-like form from maps but, thanks to medieval cartographers we know it has assumed all sorts of shapes over the years, often growing over a metre a year. 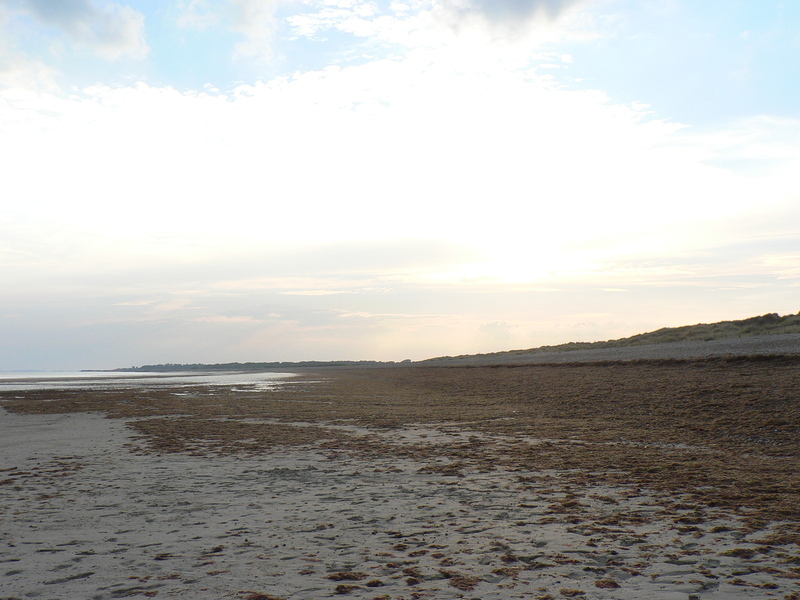 Diffraction of waves around a spit leads to hook-like sandbanks – good examples abound on North Norfolk and Solent coastlines – but where they diffract around an offshore island, tombolos form. St Ninian’s Isle off Shetland’s Mainland and Asparagus Island at Kynance in Cornwall are good examples. Longshore drift affects every beach, but not all spit-like structures are its creation. Barrier beaches like Slapton Ley in Devon were formed offshore and then rolled into their current position by rising sea levels, stopping when the beach reached higher ground. In Dorset, the lagoons behind Chesil Beach owe everything to timing – sea levels stopped rising around 5,000 years ago and halted the movement of the beach onto the land. Originally made from sand and gravel, Chesil’s creation coincidentally saw the sea reach cliffs in East Devon that has been cut off from the sea since the start of glaciation; and here, longshore drift supplemented the shingle.